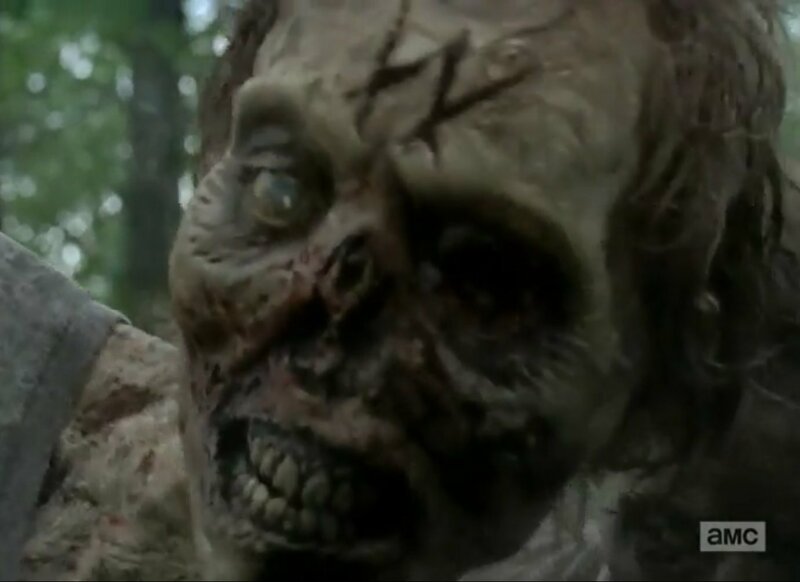 »Undead News»The Walking Dead: What does the “W” on the walkers mean? The Walking Dead: What does the “W” on the walkers mean? 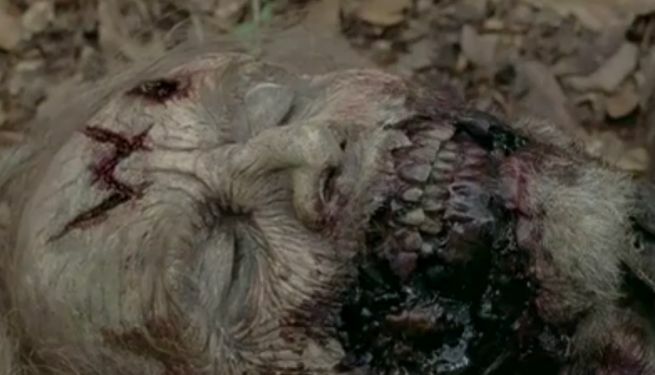 In tonight’s episode of The Walking Dead, Rick, Daryl, and Carol noticed a “W” carved into the head of a walker. While this is the first time characters have noticed the symbol on a walker’s head, it’s not the first time the audience has seen it. A few weeks ago, in the episode titled, “What Happened and What’s Going On” viewers first saw walkers with W’s carved into their heads when a dozen or so limbless walkers spilled out from the back of a truck. It seems obvious that W doesn’t stand for “Walker,” since every group of people has a different name for the zombies. I recently wrote an article which tied the W’s to the Wolves we’ve been ominously teased, which I will reiterate along with introducing some other theories. The “Wolves” have been teased for a while now on the show. 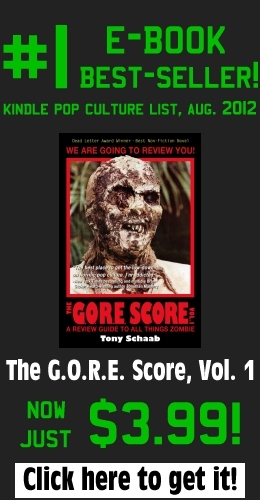 When the group ventured to Shirewilt Estates, Noah’s old neighborhood, they found that it was destroyed. By the looks of things, a villainous group pillaged the community and killed the residents. The writing may have literally be on the walls though. In several places during this episode, the phrase, “Wolves Not Far” was seen spray painted on walls. This begs the questions, “who are the wolves?” While the Wolves are not a group in the comics, there are two groups that the producers could be renaming for the show to keep us guessing. First, there’s the DC Scavengers. The DC Scavengers only make it a few issues in the comics. They are the type of people the Alexandria Safe-Zone does not want to join the community and so they try to force their way in and take from them. This doesn’t go well for them, though, as Rick and the group dispose of the threat quite quickly. It’s more important in the long run though, because the gun fight causes a herd of walkers to flock to the Safe-Zone and claims a bunch of lives and Carl’s eye. Then, there’s the possibility that the Wolves are the Saviors. In the comics, the Saviors are Negan’s band of crazy men. They come into play much later than the point the show is at, though, and stick around for a few years. While it seems unlikely we’ll meet TV’s version of the Saviors very soon, it seems more fitting that the W’s on the walker heads could tie to the Saviors. Negan, the group’s ruthless leader, uses zombies as weapons in the comic series. He has some chained up outside of his Sanctuary and also covers his weapons in zombie gore so that one strike will claim his opposition’s life. This one seems like a long shot seeing as they were just recently introduced in the comics, which in TV terms are at least 2 seasons ahead of where the show is at now. The Whisperers are a group of people we still know little about, but we do know that they wear zombie masks and walk among them to survive. It is entirely possible that the show is planning or skipping ahead as we know they like to mix things up. Perhaps the W’s on the walker heads are to notify their own people to the fact that those are, in fact, zombies and not fellow members of the group. We did hear from Morgan (when he seemed a little crazy), “People wearing dead people’s faces,” back in the episode “Clear.” Maybe Kirkman and the rest of the writers are just planning far into the future. What do you think the W’s carved into the walker heads mean? Do you think they’re linked to the Wolves that have been teased or do you think they’re part of a different storyline? Let us know in the comment section!